NEW! 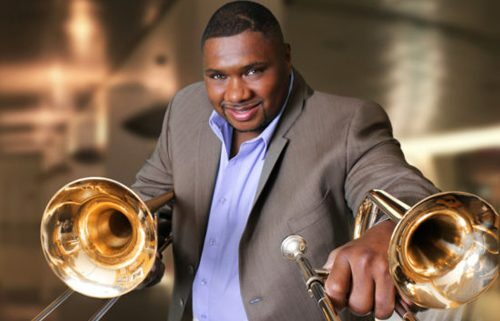 Replacing James Morrison due to last minute Visa issues, Wycliffe Gordon will take center stage in this extraordinary feat of multitalented musicality. Known best for his expertise on the trombone, Wycliffe will showcase his skills on the trumpet, tuba, piano, drum set — and with his vocals to boot. In a nod to Mr. Morrison, he might even break out the didgeridoo! Wycliffe will be joined on stage by Benny Green on piano, Jeff Hamilton on drums, and Elias Bailey on bass.